Ask any parent, grandparent, or second cousin once removed what they want for their kids. The answer is "I want my kids to be healthy and happy." There is no fool-proof manual or golden rule to raising kids to be healthy and happy. And they don't come with instructions (wouldn't that be nice). But there are a few things you can do. From physical health to mental health, there are lots of reasons behind the saying “laughter is the best medicine.” Even science has shown that laughter is good for you. First, laughing increases the release of endorphins – those amazing feel-good hormones. Studies show that laughter may improve your immune system, relieve pain, increase your ability to connect with other people and (most importantly) lessen feelings of depression and anxiety. The Mayo Clinic says laughter actually causes physical changes in your body! It can stimulate your heart, muscles and lungs, aid muscle relaxation, increase your intake of air, and “fire up” then “cool down” your stress response, making you actually feel more relaxed. Laughter and smiling are contagious. 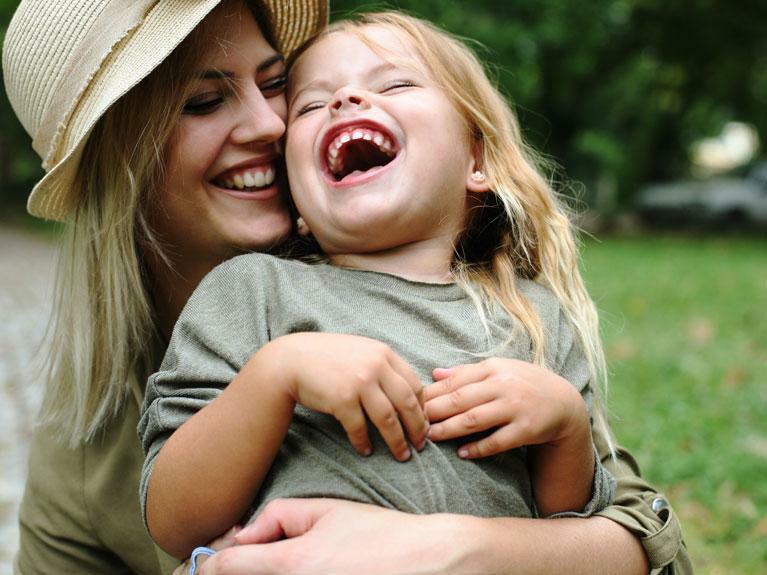 We all know from experience it feels good to share fits of laughter with your kids, letting their infectious humour and giggles spread. So it’s time to get yourself, and your family, laughing more together!